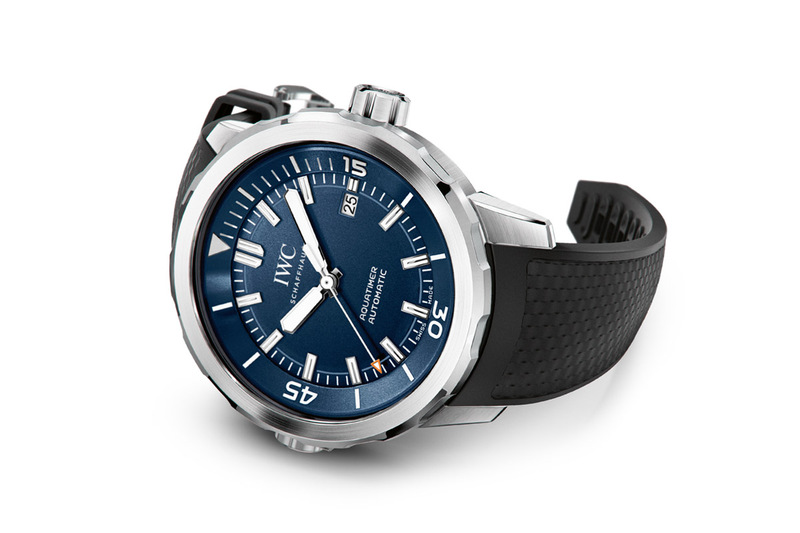 Not so long ago, at the SIHH 2014, IWC renewed one of their collections, the iconic, sporty and dive-oriented Aquatimer. That’s the way to do at IWC for the SIHH: renewing entirely a family to have a complete coherent collection. Last year was the Portugeiser, 2013 the Ingenieur and 2012 the Pilot watches. 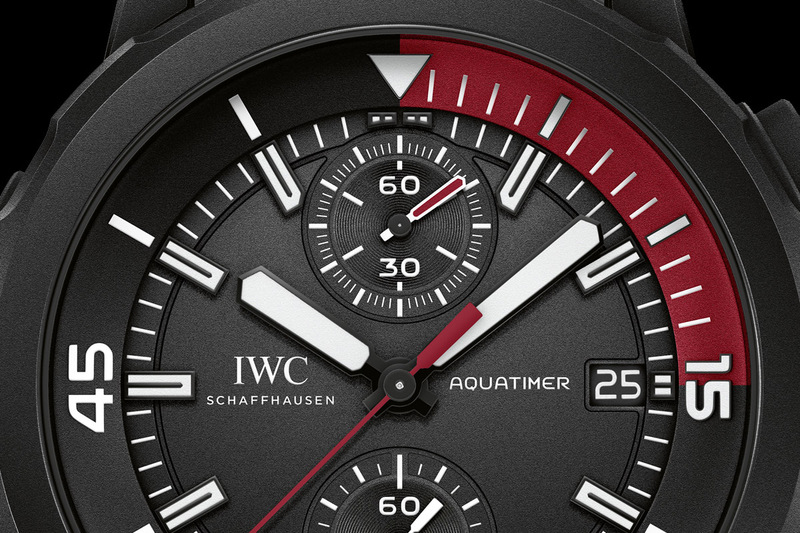 For the SIHH 2016, IWC has some new Aquatimer watches to show us, but do not worry, this is not the SIHH 2016 highlight but just some new editions. The design you have known for two years is still on board, just with new colors and styles. 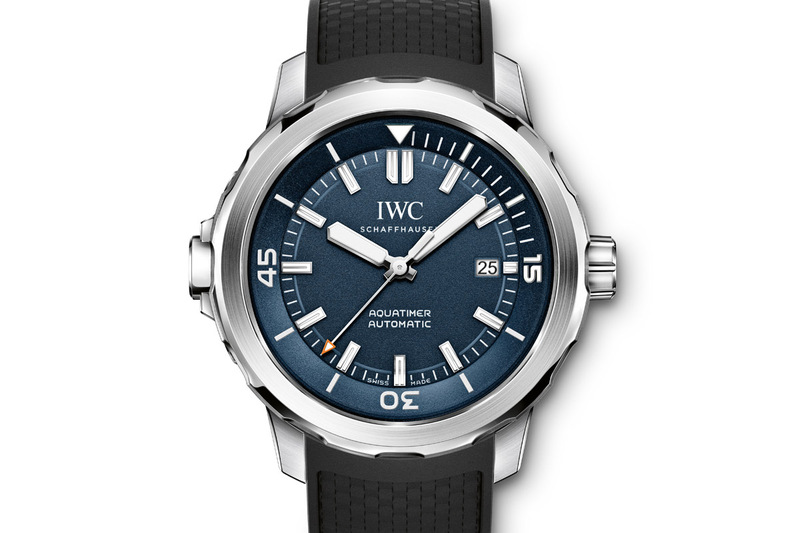 Here are the new members of the IWC Aquatimer family. 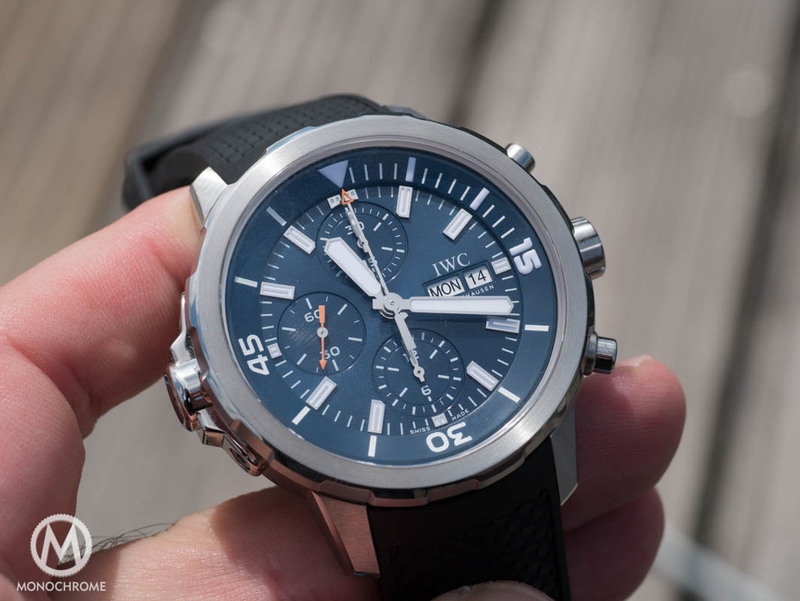 This first edition is based on the chronograph version – not the Aquatimer Chronograph Edition Expedition Jacques-Yves Cousteau that we reviewed here, that is equipped with a Valjoux 7750 – and is a limited edition of 500 pieces. 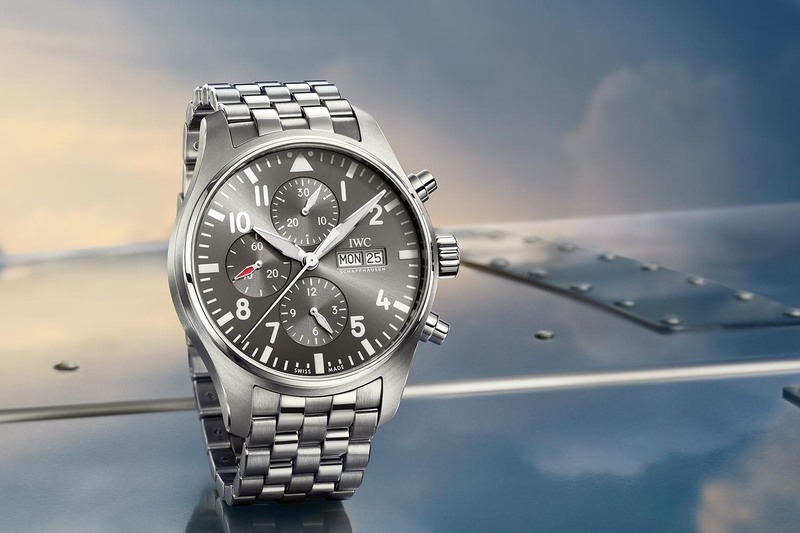 It features the IWC manufacture 89365-calibre movement, with a flyback function and 68 hours of power reserve with automatic winding (an equivalent movement can be found in the IWC Portuguese Chronograph Classic). This chronograph is operational up to 300m. The Aquatimer Chronograph Edition “La Cumbre Volcano” pays tribute to the Charles Darwin Foundation, to preserve the Galapagos archipelago in the Pacific Ocean. 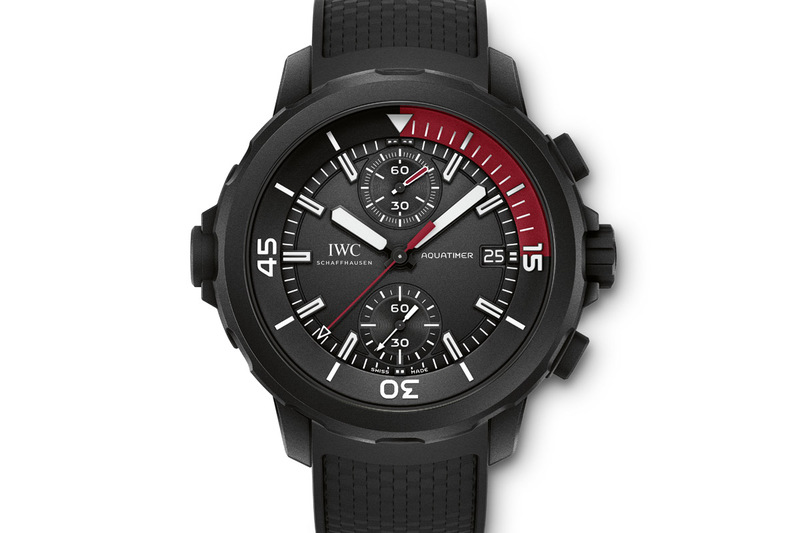 This limited-edition timepiece is dedicated to the La Cumbre volcano on the island of Fernandina, which explains the selected colors: a 44mm stainless steel case coated with matt black rubber, an internal rotating bezel (actuated by a clever mechanism explained here) with red accents and a matching matt black dial with white hands and indexes. Part of the proceeds from sales is used to support the Charles Darwin Foundation. 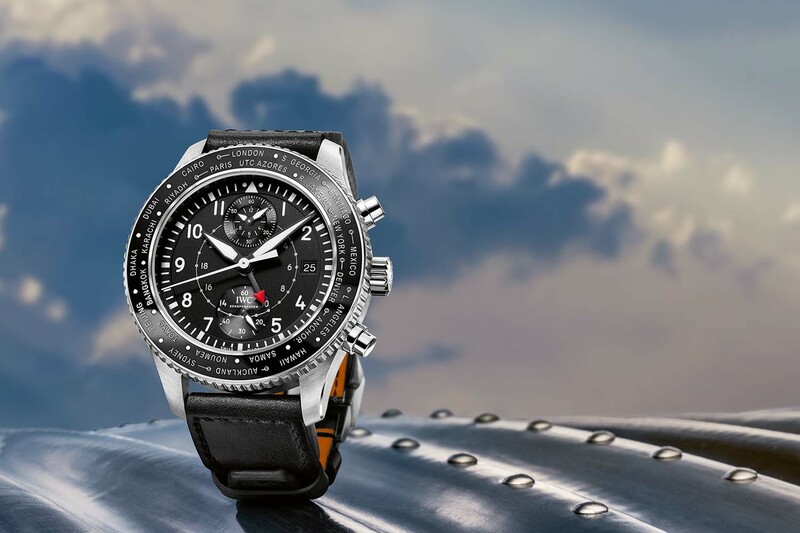 This edition is the professional one, with an impressive water resistance of 2,000 meters. 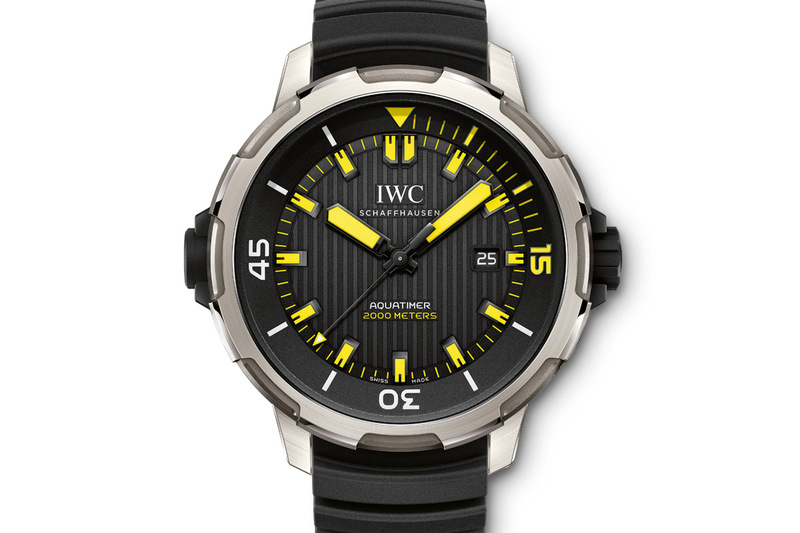 This watch pays tribute to the original Aquatimer designed in 1982 by Ferdinand A. Porsche for IWC and the actual edition re-issues some of the design clues, including the specific profile of the bezel and the hour’s indexes. Previously available in titanium with a black dial and contrasting white accents, it now features some flashy yellow luminous paint on the hands, indexes and minute track. 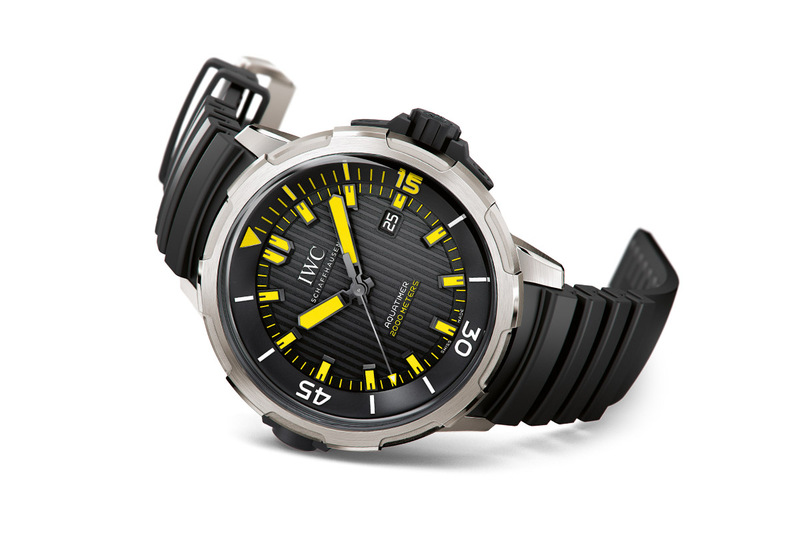 Like the rest of the watches of the IWC Aquatimer family, this 2,000 meters edition features the inner rotating diving scale actuated by the rotating bezel. Inside the 46mm titanium case ticks IWC Calibre 80110, a self-winding movement with 44 hours of power reserve, which displays the hours, minutes, seconds and date. It is finally equipped with an extensible rubber strap, that will extend with your diving suit. 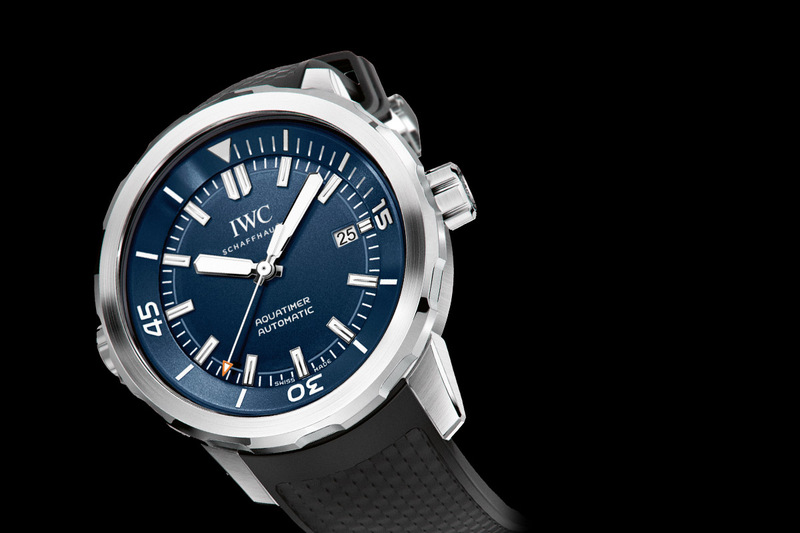 After a first edition based on a chronograph, IWC reintroduces the concept of the “Expedition Jacques-Yves Cousteau” on the simplest version of the Aquatimer, the automatic, 300m water-resistant edition. The concept here is the same, with a deep blue dial, with a matt grained finish and large white applied indexes and hands. The case is in stainless steel with circular brushed finish, enlighten by several polished parts. 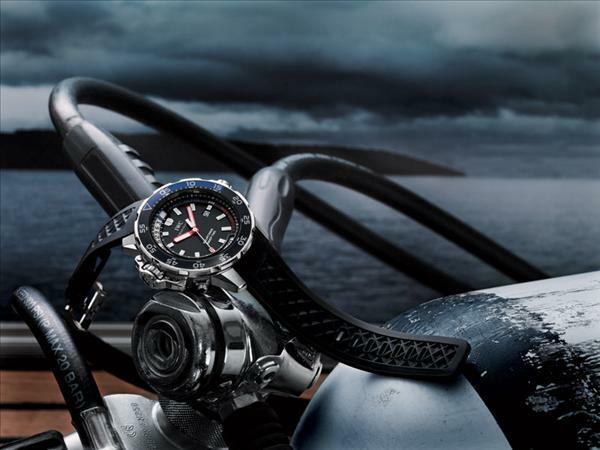 It measures 42mm and also features the inner rotating dive scale actuated by the bezel. Inside ticks the Calibre IWC-30120, basically a modified version of the ETA-2892, that will provide through its automatic winding 42 hours of power reserve. Prices will be unveiled during the SIHH 2016. 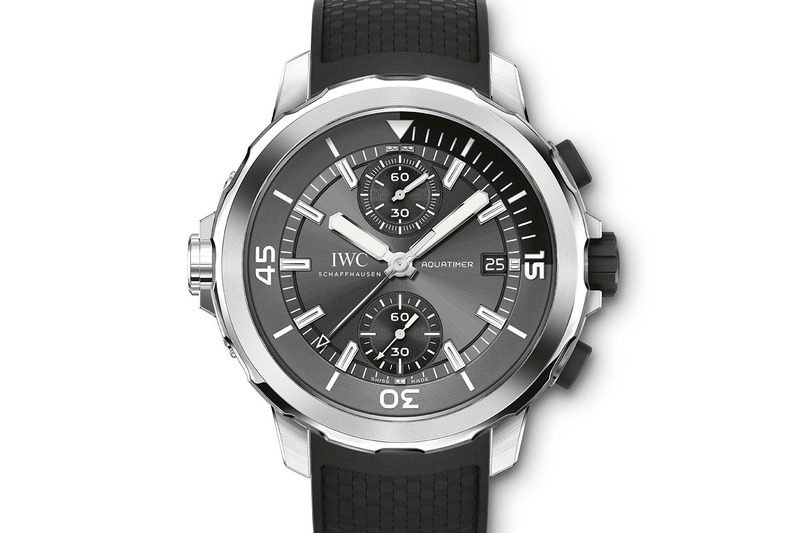 More details on www.iwc.com.